David Hill is an enthusiastic member of Gateway and always enjoys the events immensely. 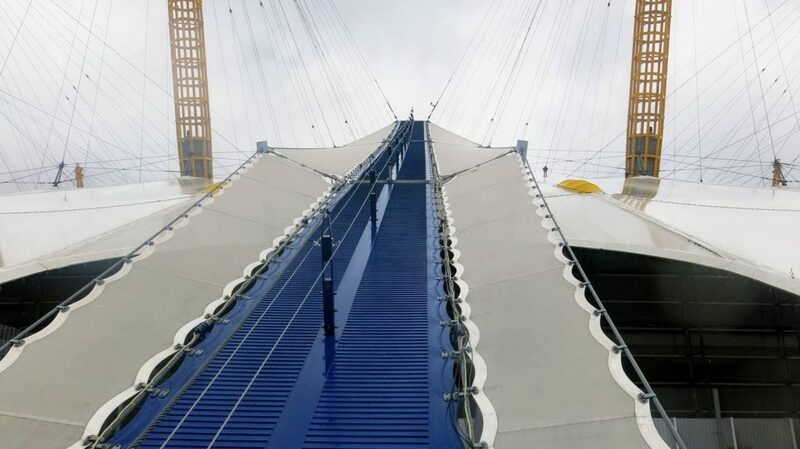 He decided to do something rather special to support the group by climbing over the roof of the iconic O2 Building in London. After much anticipation, the event took place on Wednesday the 9th August. The weather conditions were very poor on that day with heavy rain which added to David’s challenge. He wasn’t helped either with his train being cancelled en route to London, causing a delay in starting. However, undeterred by these obstacles David went ahead with his climb with great success. Like all great challenges it is important to get a thorough briefing. 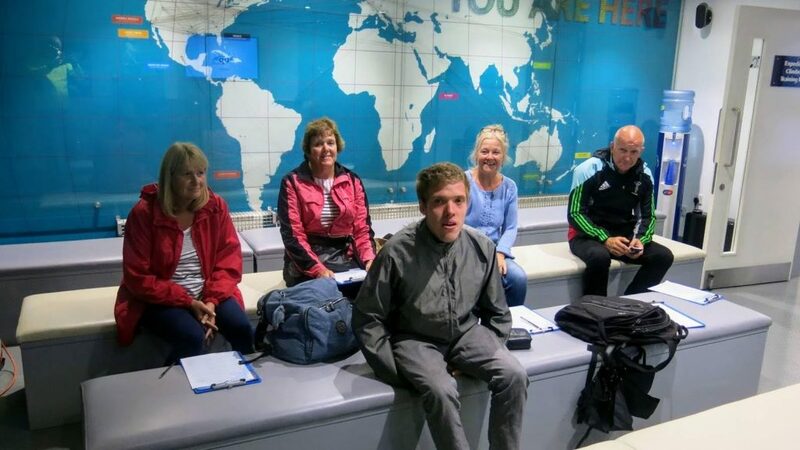 Here is David in the briefing room, soaking up the details of how to undertake the climb. David had a great support team who accompanied him on the climb. As well as his Dad and Mom (left) he had the support of members of the Peter Symonds College Learner Support Team (right). 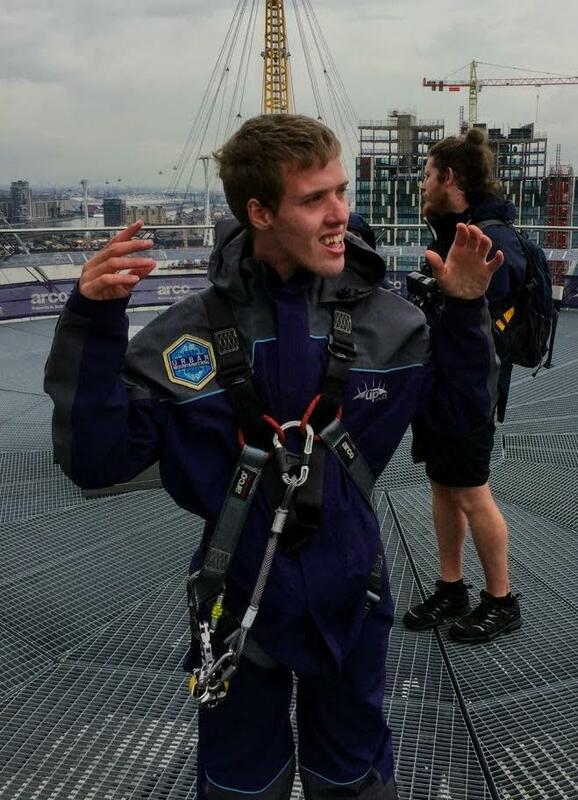 He also had the help of Aaron and Victoria, members of the O2 Team, who were there to make sure that David was safe at all times. 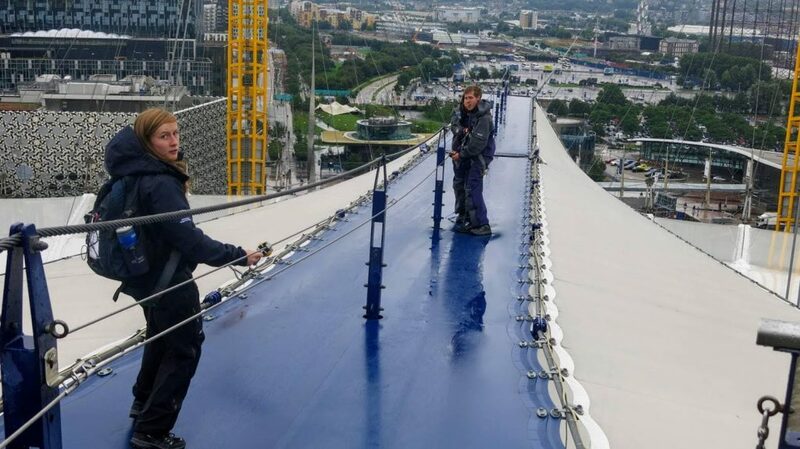 The first part of the roof climb ascends at 30 degrees and needs to be negotiated very carefully in wet conditions. 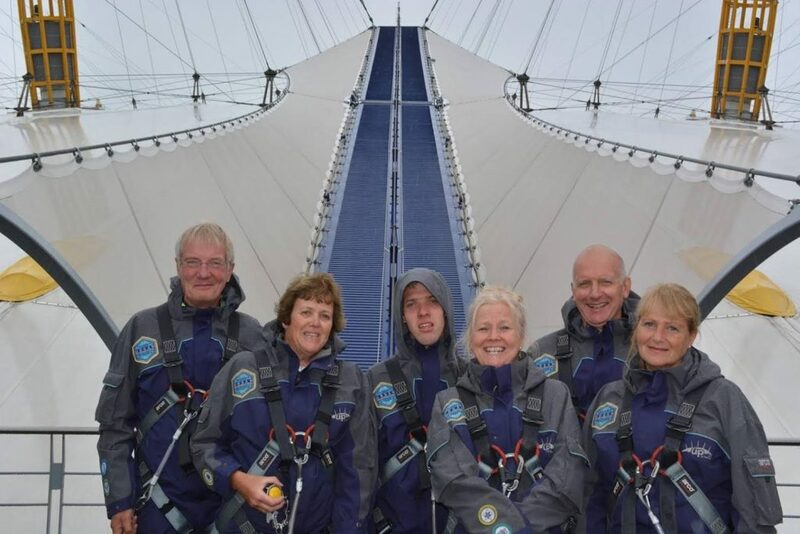 The walkway was very wet – and it’s a long way down! Hurrah – I made it to the top. What a moment! Very happy – but I still have to get down. The descent was even more tricky as David had to learn to go down backwards. Stunning views. From the roof platform you can see all over London. 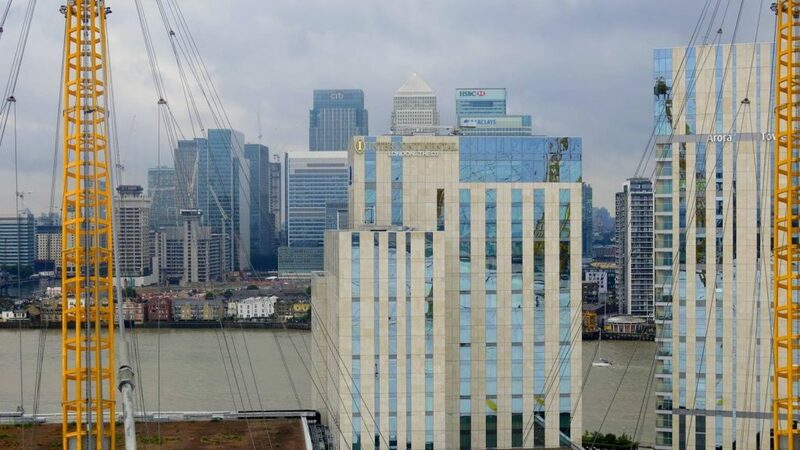 Here is a view over the Thames to Canary Wharf. Of course – you just have to get the tee shirt! 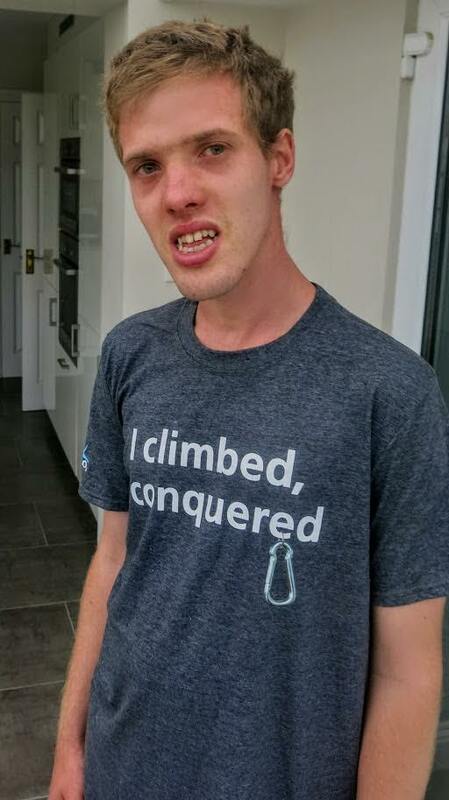 David had many friends and supporters who sponsored him for the climb. 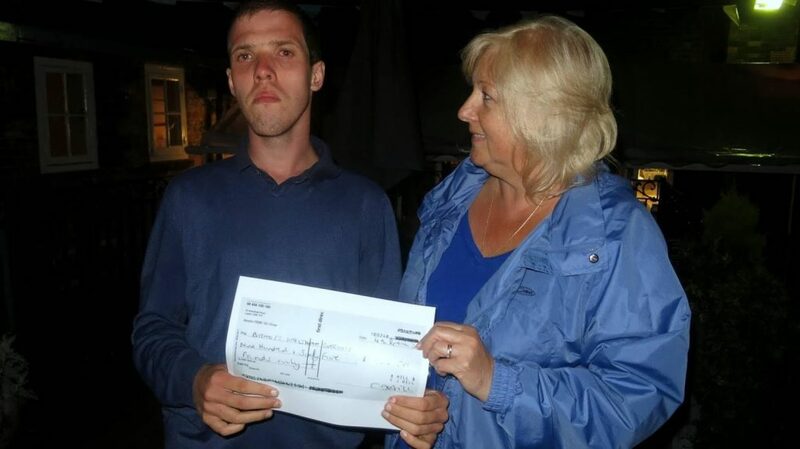 Here he is handing over a cheque for a stunning amount of £965 raised for Gateway.